You are invited to join us for our first Supply Chain & Logistics event for the year to be hosted by Borg Manufacturing located at Somersby on Friday 15th March. You will be afforded the opportunity to gain insight into local logistics activities, share common challenges and uncover solutions and develop valuable relationships. The Central Coast Supply Chain & Logistics Forum aims to bring together local businesses involved in supplying, producing and transporting all kinds of goods across and from our local region. We intend to hold these Forums quarterly at various local company sites to see first-hand what other local businesses are doing. We will also explore and brainstorm supply chain & logistics issues, while providing a platform for ongoing networking. Paul Gaynor Founder and Director of Logistics Safety Solutions (LSS) will be presenting “Chain of Responsibility” Paul will be sharing with us the 2019 CoR reforms and the massive increases in penalties (up to $3million and 5 years jail) and the potential impact to any business in a supply chain. Currently over 2,000 entities in Australia and now New Zealand are registered to complete the LSS CoR-Safe System, which ensures that clients and their supply chains understand and confirm compliance with their CoR duties. Paul has been a leader in and on behalf of supply chains for over 30 years, as well as head of trucking associations and GM of a major interstate express truck operator. LSS clients include Amcor, Bega Cheese, Coates Hire, CUB, Elders, Fonterra, George Weston Foods, JBS Australia, Manildra, Mars Australia, Parmalat, Treasury Wine Estates and Valvoline. 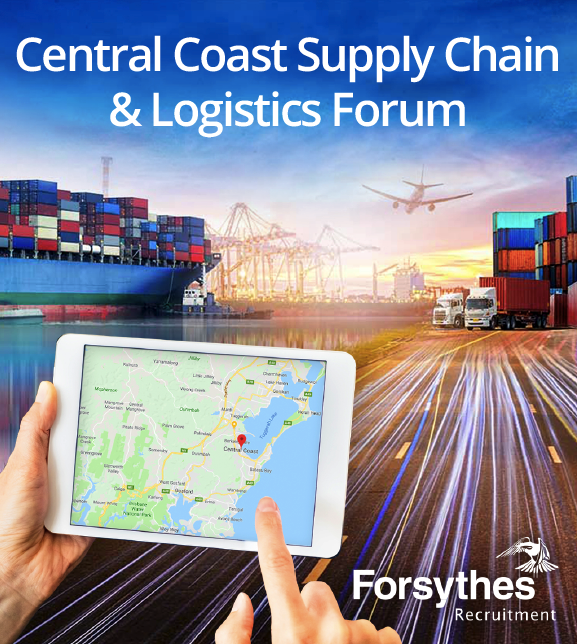 The Central Coast Supply Chain & Logistics Networking Forum is a joint initiative by Forsythes Recruitment, NSW Department of Industry, the AusIndustry Entrepreneurs’ Programme, Australian Industry Group, Central Coast Industry Connect and Hunternet. This network has been running effectively here on the Central Coast for over two years. The forum has no individual agenda other than to bring people together around improving our region’s Supply Chain & Logistics capabilities. Click here for further details and registration.